We've decided to take some of the guess work our of your next gauge set purchase. By combining the five most popular gauges we are able to offer you the very best gauges at the very best value. Note: Plug-In Connectors are sold separately. 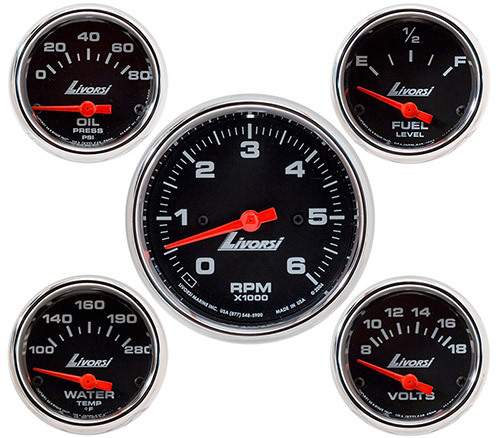 Livorsi Gauges are available in many color combinations, please select the Rim Style, Rim Color, Face Color and Tach RPM.